Snapchat is the most popular messaging app among teens and it isn’t so without any reason. It’s a magical app that makes messages vanish after viewing them. You can send a photo, video or text on Snapchat and the message expires after a short time or after the recipient has viewed it. So far, so good. Now, lets get to the ugly truth. You can actually save the photos, videos and stories shared on Snapchat. We have already written about the various methods through which you can save snapchat snaps permanently without the sender’s knowledge. For folks who don’t like complicated procedures there are various apps available both on iOS and Android that save the Snapchat pics, videos and stories. Listed below are the best apps to save/download the photos (snaps), videos and stories received on Snapchat. 1. SnapBox: This is hands down the best iOS app to download Snapchat photos and videos. With SnapBox, all your Snapchat photos and videos are saved permanently forever. Whenever you receive a snap, open SnapBox and login with your Snapchat user id and password and all your snaps are saved. 2. Snapchat Saver: Android is also a fairly important platform for Snapchat and a huge number of people use Snapchat’s Android app too. Snapchat Saver is the most popular Android app to save your received messages on Snapchat. Snapchat Saver lets you save both photo and video snaps. You can save photo stories and video stories as well. Please note that snaps should be saved prior to opening them on Snapchat. 3. SnapCrack: The SnapCrack app boasts of some great functionality. Apart from saving photos, videos and stories you can also send snaps from your photo album. There is also a paid version of the app available for $4.99. 4. SaveMySnaps: SaveMySnaps is an Android app that lets you view your snaps as well as optionally download them. Just remember not to view the snaps on the Snapchat app before downloading them. 6. Casper: The Casper app comes from the creator of the SaveMySnaps app. The Casper app is an alternative Snapchat client that does much more than all other apps on this list. The functionality includes the ability to save snaps (photo, videos and stories), forward snaps, apply filters to photos, slide filters, add stickers to photos etc. The Casper app is available only on Android and information regarding the download can be found here. Next post: How To Turn On Music ID And Tag Songs/TV Shows In Facebook Posts? Previous post: How To Mute/Block A User’s Tweets From Your Twitter Feed? Just thought I’d let you know #2 and #5 have been removed from Google Play. My app ‘SaveMySnaps’ is still available and currently sits at #1 on the Google Play store. This has been fixed as of the 6.0 BETA which I hope to have to public BETA in the next few weeks. I have added more features such as a swipeable gallery and INSTANT notifications when you receive a new snap. At this stage, you will still need the original Snapchat app to access ‘chat’ messages. However I am working on getting ‘chats’ into SaveMySnaps. It’s just not the easiest thing to do… Since they’ve made it so difficult to try and get into…. I am loving SaveMySnaps, for obvious reasons. But a recent Snapchat update prohibits users from using 3rd party apps to view snaps. If they decide to do so, their account will be locked. Any words on this? Hey Liam is there an iOS version of Casper or can you make one ? So? the app wont work if you already got it installed? Mine have been working perfect untill a few hours ago. Says “Already viewed in offical app” and the thing is that, i actually dont even have the original snapchat saved on my phone no longer. What can i do to fix this? It’s not there anymore what happened to it? I can not find your app ‘SaveMySnaps’ in the google play store. On snapkeep.tk you can save snaps and stories, directly in your computer ! hi i am trying to log onto my snapchat account but it won’t let me do could you help me with this thing.please. None of the apps work anymore. 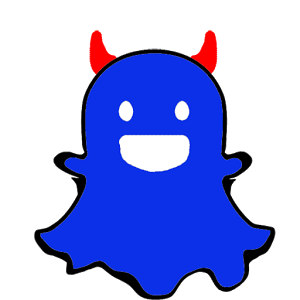 Snapchat servers have changed there security and also all snapchat save apps have been removed from app stores. Unless theres a new one out there thats current and works with new snapchat please inform me. Is there a way to get all the pics and clips that are saved on the save my snaps app without logging in using your snapchat account info? Since the new update it doesn’t get rid of all the scribbles and emojis from the snap, can you fix that? It’s interesting to see how snapchats are being saved. Are there any snap save apps that work?? I’ve previously been using SnapSave but I received a notification that my account would be blocked if I continue to use it… Because I’m on my last life so to speak, I don’t want to risk it using another one! Anyone got any advice?? Please tell me a way to save the snaps without my account getting locked in future? SnapMod works without root, whereas keepsnap (Xposed module) works on rooted phones. So, I’ve been hearing rumours of people’s Snapchat accounts being permanently locked because they were using third-party apps. Will SaveMySnaps be one of those apps that gets my account locked? I got the massage from snapchat that my account had been looked for using third party app but i a’m still able to use the official snapchat but not SaveMySnap anymore .. i changed the password and re-downloaded again but nothing changed. it says ur username was looked.. how can u help me with that? what is actually third party applications? what does snapchat mean with that? and how do i do to log in on snap save again? :( please help me. i cant even log onto snapsave or any other third party app anymore… how can i get around that? You can’t snapchat has now banned third-party apps and their use. sorry. none of these work for iPhone most don’t even let you log in. Casper seems to work for me. Tested it between two accounts, and I don’t get notifications of saves unless I want them to. No idea if it bans me, as I just barely tried it today. So in looking at the comments we have choices as parents. While I have no desire to “spy” on my sons they know what they say and receive could be detrimental to their health :-) so, we are all looking for the best solution so we all feel comfortable with them using snapchat and me being able to access what they are sending out and receiving. What would you suggest as the best / affordable app to do this? thank you. Why iPhone has to be better then Android!!! Y’all folks need to create a SnapUp for android. Not just for iPhone only!!! I restarted my android phone and your app doesn’t download as easy as it did the first time. how am I supposed to save nudes? Your android links don’t work says retry. i think best app for snapchat save pics and videos for android is capser for snapchat. Yep you are right Fakhry, Thanks for this information but the file called casper for snapchat and it’s work at iphone, and there is alot of free software there. Couldn’t find any app. I searched in my iOS and anderoid but couldn’t find any app with any those names. What app for IOS ? 1. Open your friend’s Snapchat story. 2. While you are viewing the story, just swipe-up or tap on the “CHAT” text to open a chat window. 3. Write something relevant about that story and tap “Send”. The message will be sent to your friend. 4. Now, quickly head over to the Snapchat “Chat” section and tap on your friend’s name. That will open a chat window, and you should see the snap on which you just commented. 5. Tap and hold on that snap. You will see, “SAVED” message. And all the saved messages will be highlighted with a grey background. 6. NOTE: Once SAVED, you can tap and hold on any SAVED message to ‘UNSAVE’ it whenever you like to. This is cool. But is it possible to save the picture or video FROM the chat TO your device so it can be shared on other apps? I know you can screenshot a picture but what about a video?? I would also like to know how to save a video that was sent in a chat from a friend to your camera roll. My uncle sent me a video of me and my mom when I was younger and he accidentally deleted it from his phone and thank God I saved it on the chat on Snapchat. But how can I get that video from the chat to my camera roll? And I’m a iPhone user. I used Casper on Android and I loved it, now I’m looking for the most similar for IOS, which one is the best for that? I love list to download pics from snapchat and its working. Is there an app that saves my edited snap videos before I send them? My snapchat only saves the nonedited version to my phone(LG G4).